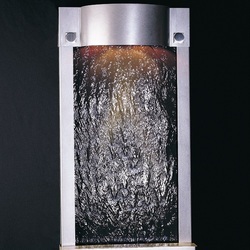 Wall mounted stainless steel frame with natural slate water panel. 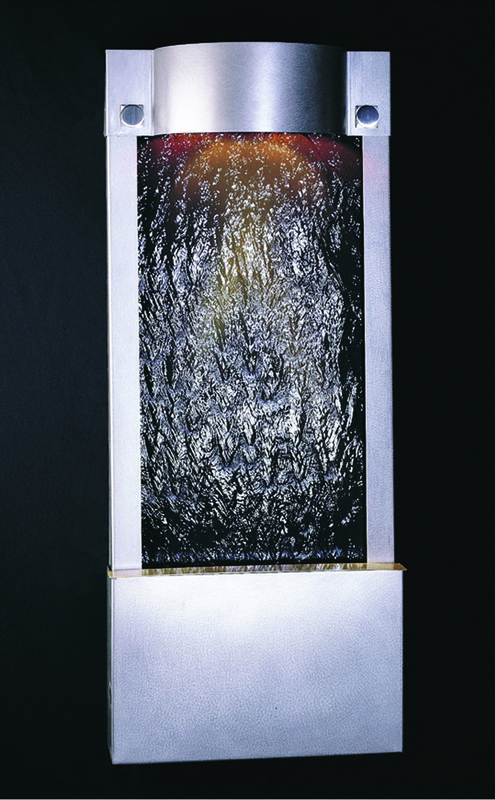 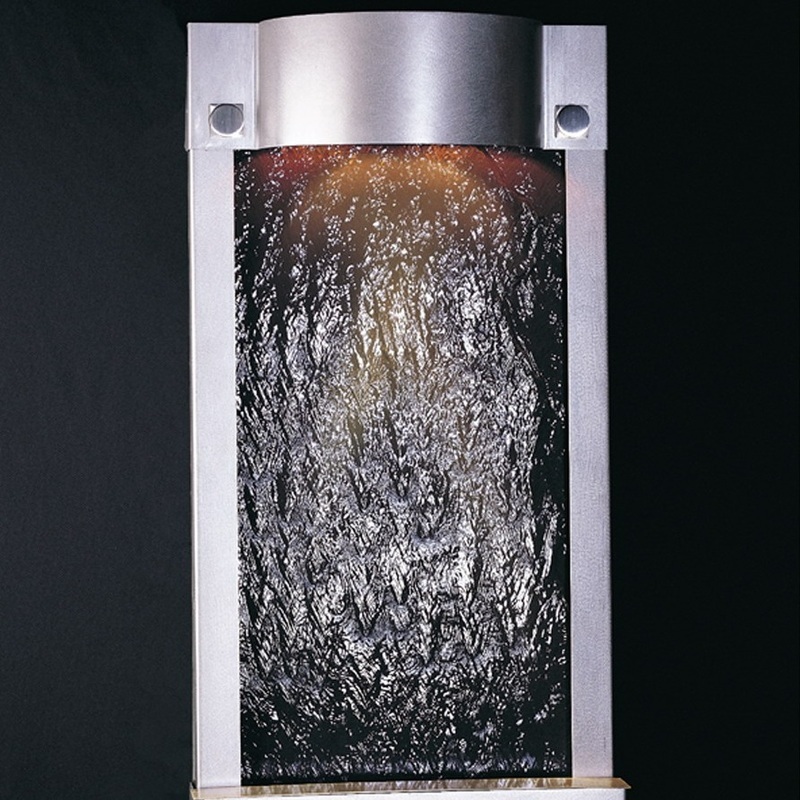 Curved detailing on top frame conceals lighting that illuminates the flow of water. Produces a soft water sound.